A few months ago, I had a strange out-of-body experience; I seemed to see the situation in which I had found myself as if I was simultaneously living it, but also distanced from it and watching it from the sidelines. In a moment of pure rage, I watched myself standing in the middle of my kitchen, surrounded by my chuckling parents and brothers, shouting at the top of my lungs that Amazon is, without a doubt, the single worst and most dangerous threat to civilisation that has ever existed. Now, with a calmer head, let me tell you why I hate Amazon. I feel that up until now I’ve offered the occasional subtle jab, but have refrained from posting a long and detailed transcript of the rant. 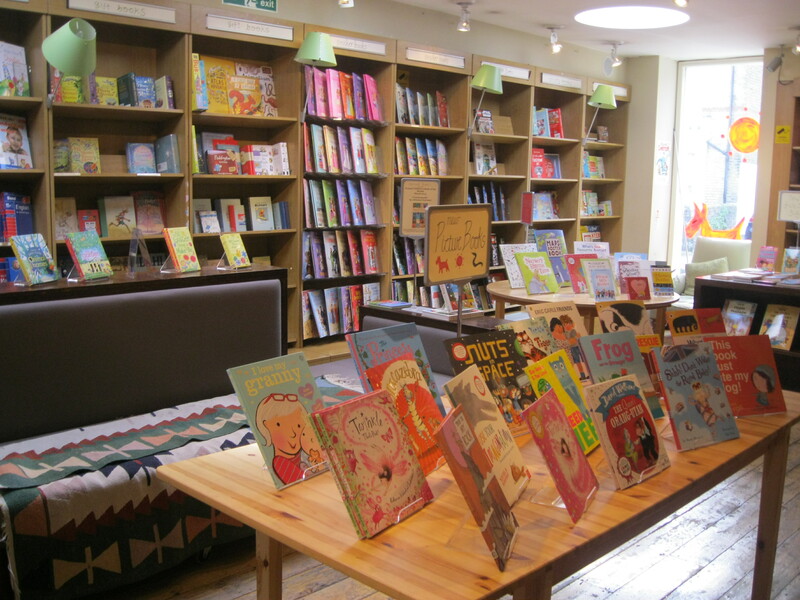 Feel free to skip it and jump down to hear the story of my trip to a bookshop in Notting Hill. If you prefer to stay with me, you’ll find that if you go to http://www.amazon.co.uk right now (provided that, like me, you don’t have an account and therefore don’t have a “recently viewed” or “recommended” section), you won’t see a single book on their home page. This is clearly a company that has no emotional attachment to books and no sense of loyalty to any publisher, author or reader. And yet they are still the single greatest threat that small independent bookshops and, in fact, the publishing industry at large, has ever known. But the real threat here is, more than anything, a threat to the culture of book-buying, and this is what I realised when I was in this Notting Hill second hand bookshop. (The bookshop is a delight and I promise I’ll get to it soon!) When you walk into a second hand bookshop, you often aren’t given the greatest selection. I admit this. It’s not as if every book ever published is available new or almost-new for a nominal cost at the touch of a button. Some people think this is a bad thing. Sadly, those people are idiots. 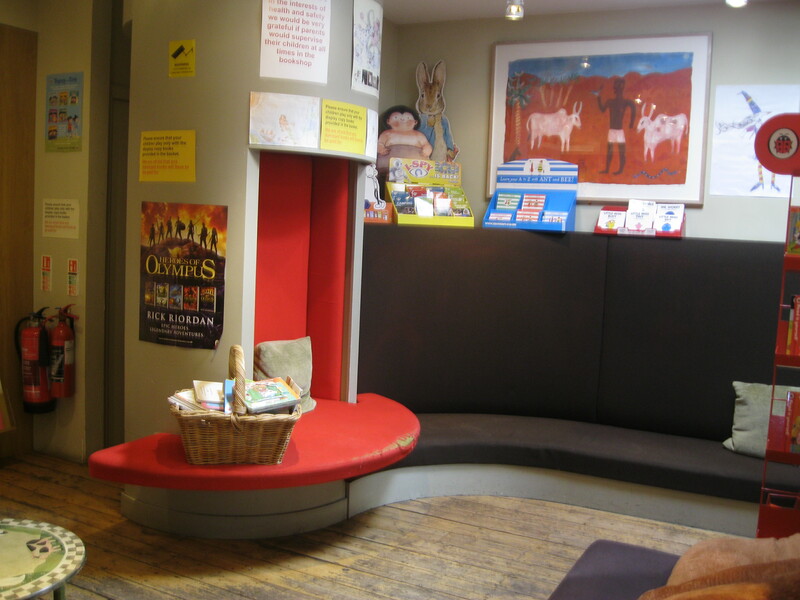 Bookselling, at its best, is about adventure, about exploration and about dialogue. 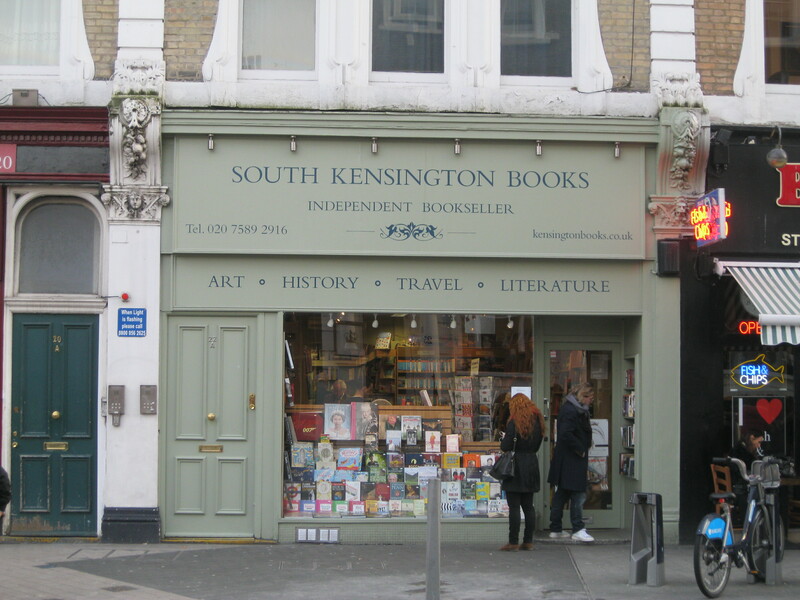 If I walk into an independent second hand bookshop, I might browse a bit first and, if I have something particular in mind, maybe even ask if it’s available. 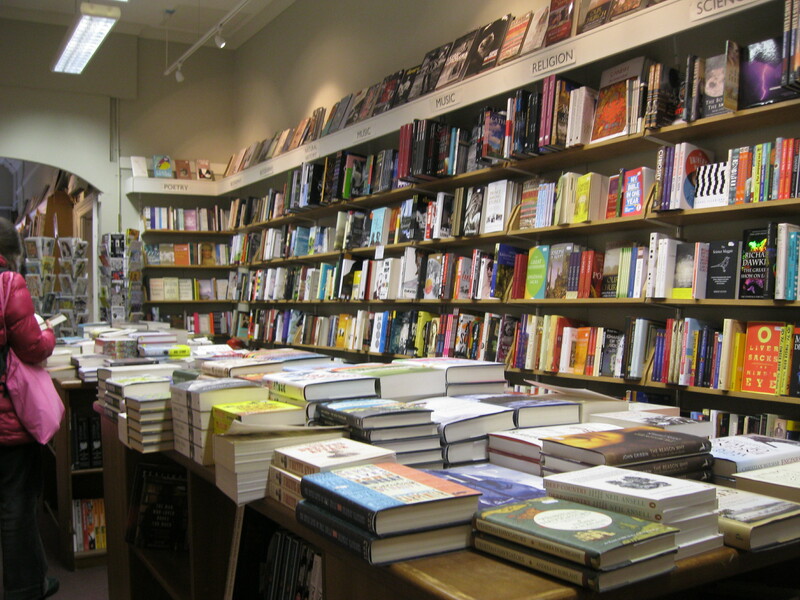 If it’s not (it’s usually not), I might start a chat with the bookseller, since real bookshops made of human beings and paper books employ people who love and know books. We might talk about the book they don’t have, suggest similar ones or engage in a battle to the death in which there’s no right answer but only subjective opinion. In other words, the most worthwhile kind of debate. Then, having established that while the book I needed isn’t there, but that there are still other good books, I’ll browse. It is then that I’ll find a sequel I didn’t know existed to a book I read eight years ago, or a book of poetry with a beautiful inscription in the front cover, or a book with the same title as the book I was looking for but by an author I’ve never even heard of. When I walk out, it may not be with the book I went in looking for, but chances are it will be with three or four other books that I can’t wait to begin, which I never would have found if I had chosen to sit at home on my couch with the television blaring in the background, search a title, click a button and thus end my intellectual journey for the day. So even though the process would have been longer and more difficult and less objectively successful than a quick peruse of Amazon, going into a bookshop has given me: 1) the sense of belonging to a community of booklovers, 2) a new list of must-read titles from someone I can trust, 3) the thrill of the unexpected, 4) a chance to broaden the range of books I’ve read and, most importantly, 5) a reminder that sometimes you find the most important and most valuable things (in life and in bookshops) when you’re in the middle of looking for something else. This adventure, this thrill of discovering, is what we risk losing in a world where everything is digitised and the word “search” has really come to mean “find”. 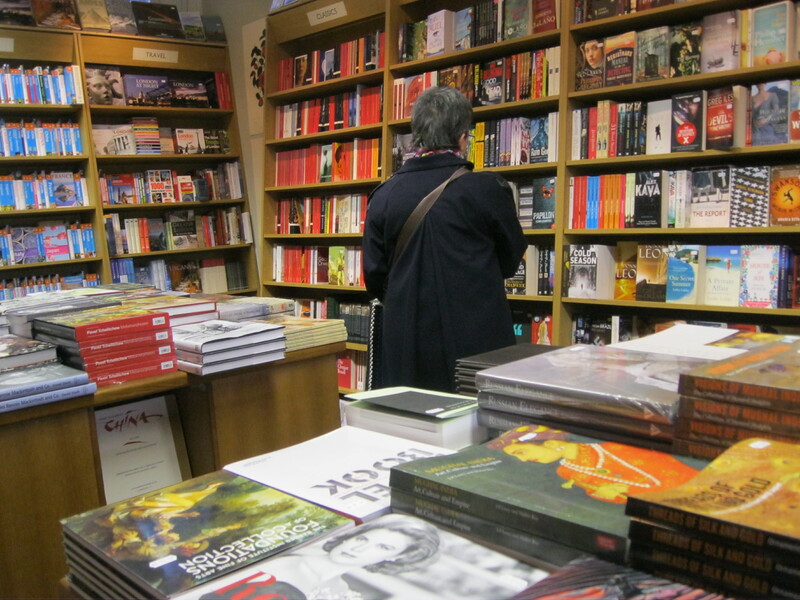 And it’s what, thankfully, is still alive for those of us who care, in little London bookshops like this one. 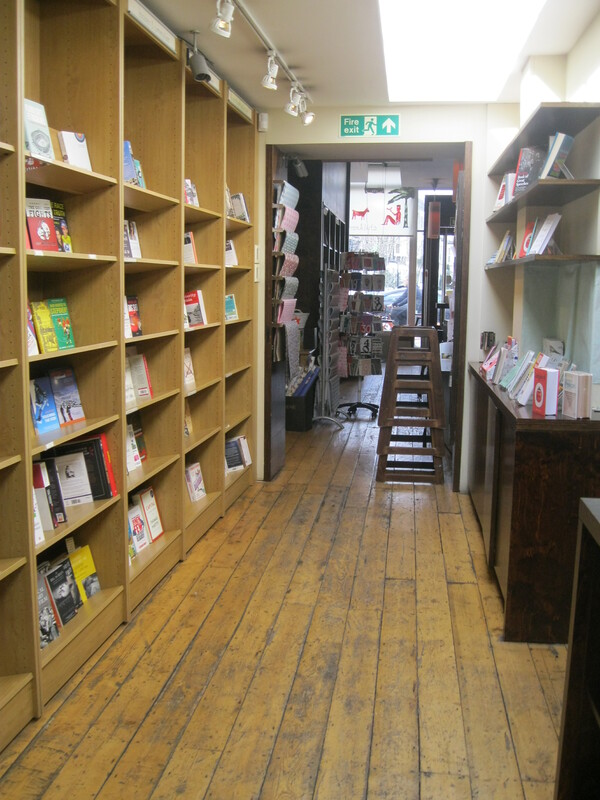 Notting Hill’s Book and Comic Exchange is, encouragingly, full of people, even on a rainy Friday morning. 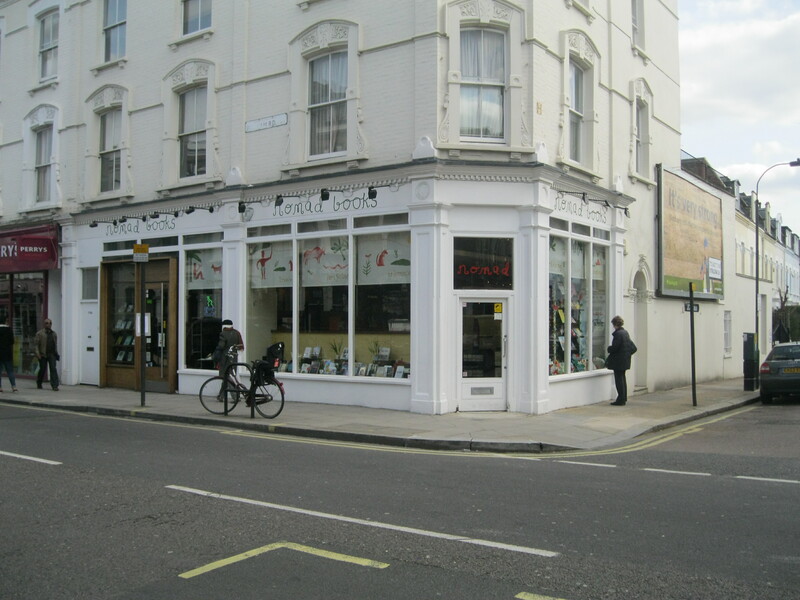 It seems to have established a loyal base of customers who wander in and spend a considerable length of time poking around. I found myself still looking around after nearly an hour and, to my delight, many of the people who were in there before I came in where still there when I left. 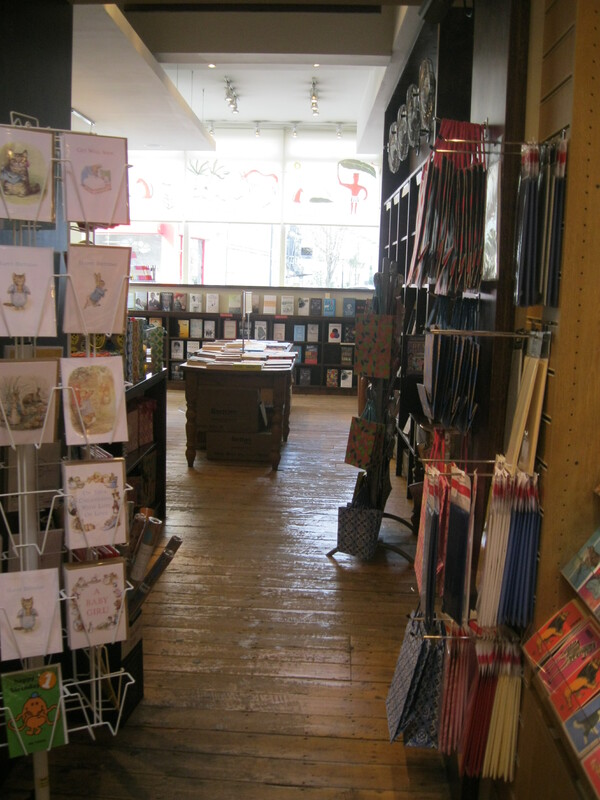 Many of them were rummaging through the shop’s absolutely insane collection of books, but most were flipping through the rows upon rows of comics that take up the entire centre aisle of the shop and a room in the basement. Unfortunately, all of this was somewhat wasted on me, since my knowledge of comics is very elementary and hardly goes beyond your average person on the street’s understanding of what really is a whole world unto itself. Being in this bookshop, though, I really wished I knew more about it so that I could have “geeked out” even more than I already was. 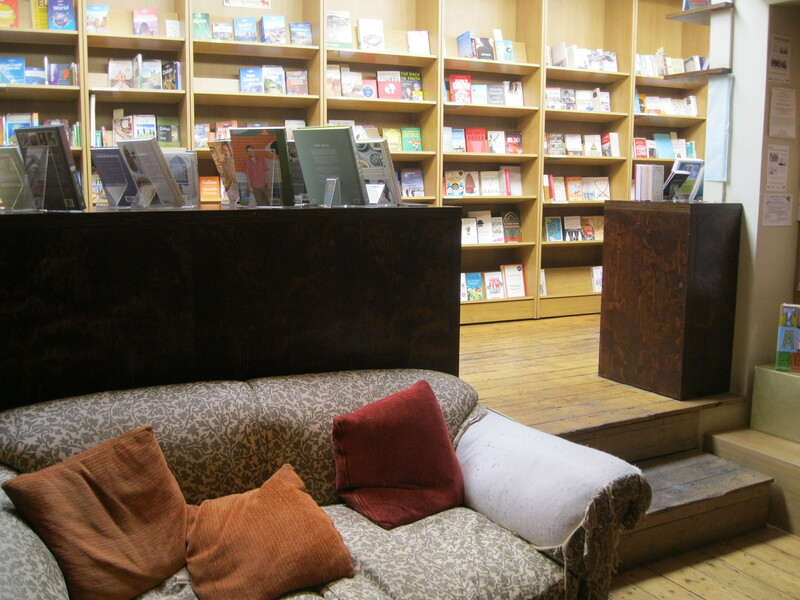 I had to settle for drooling over the shelves packed with books and the little corners where you’re surrounded on three sides by walls covered with books and more than anything you just want someone to stick a fourth side on and leave you there forever in a little room of pure happiness. 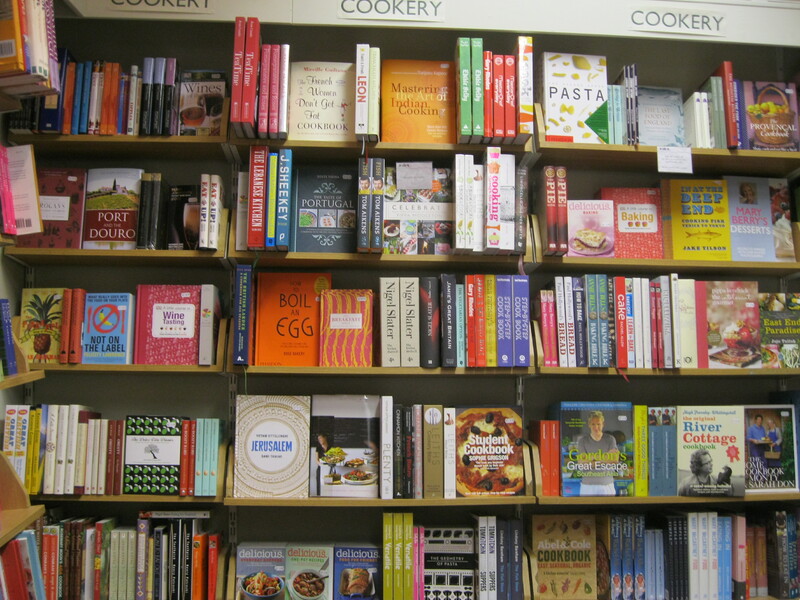 I have a feeling that every book in the world is hiding somewhere in this bookshop. The trick is finding it. 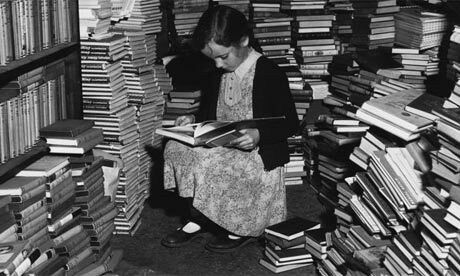 None of the books I was looking for was in its place in the Fiction section – the alphabetisation was very relaxed – and so I quickly established that no useful book-buying was going to happen today. Instead of walking off in a huff like a child of this internet generation might have, I decided it was browsing time. 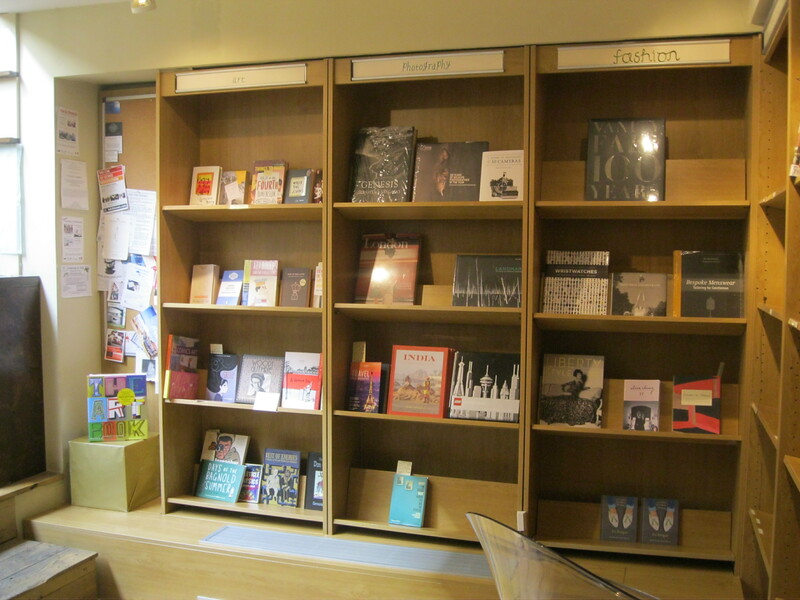 The books on the ground floor cover fiction, poetry, history, cookery, music, society, philosophy and art. The boundaries are a little bit blurred and I think there are lots of things that haven’t been put back in the right places. This has very funny results including a sequence of books in the music section that put a biography of Mick Jagger next to “Terrorism: A Very Short Introduction”, next to Martin Luther King Jr.’s “I Have A Dream” speech. I spent a very long time and had entirely too much fun playing the “let’s try to figure out how these go together!” game. Also, Roald Dahl’s Boy was in the Horror section. It was hilarious. The basement deserves mention, purely because it’s so bizarre. Any semblance of order that the upstairs maintained is completely abandoned. There are books. There are just…lots of books. Novels, books of poetry, books about dieting, fantasy novels, erotica, art books, gardening books and, as I mentioned, a back room full of even more comics books and graphic novels. The crazy decorations of the upstairs are abandoned too. It’s as if the basement isn’t even trying. I guess that’s part of the appeal. In the end, I found a book that I never would have imagined could exist and certainly never would have typed into Amazon’s “search to find” bar. It was called “In the Victorian Kitchen” and it was a calendar that gave information about what happened in the Victorian household every day and month and season of the year. So, on the page where February 14th was found there was a description of what Valentine’s Day meant to a Victorian scullery maid; at the beginning of October we get information about the harvest and how it changed everyone’s jobs. The interesting thing, though, was that whoever owned this book had used the dates as a calender of her own, putting in birthdays, wedding anniversaries and deaths with the name and year of the person. I flipped through all 365 days and was amazed that the birthdays ranged from the owner’s mother’s birthday (July 27th, 1877) to someone called Emma’s birthday in April 2009. I realised I was holding in my hand a record of all the important events of one woman’s life, which ended up spanning over at least four generations. It’s these people who put their whole lives into the books that they love whom I hope we never lose, and it’s these bookshops, these havens where those precious memories can be treasured and passed on, that we must preserve.